Are you a student looking for writing help? The Center for Academic Excellence (C.A.E.) houses tutors from the Writing Learning Center for six days per week. Are you having problems finding scholarly articles for a tricky research subject? The C.A.E. 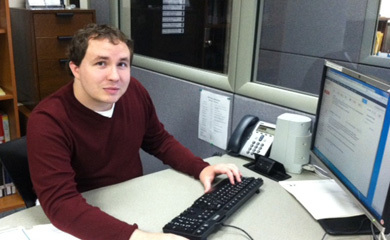 has a reference librarian on-call until closing every day of week. Are you an adviser or mentor trying to help someone locate educational assistance outside of the classroom? The C.A.E. 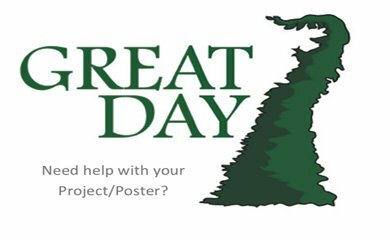 acts as a clearinghouse for numerous campus support services and can point you in the right direction. The C.A.E. already offers something for pretty much everyone here at SUNY Geneseo, but we are not finished expanding yet. Growing and improving the university’s educational support services network is seen as vital part of SUNY Geneseo’s long-term plans and goals, and we are doing our best to make this plan a reality. Starting this spring semester, the C.A.E. will be teaming up with departments all over campus to develop a series of workshops to help students with various challenges—from writing an annotated bibliography, to preparing and presenting at GREAT Day, We are also beginning to develop some online instructional materials for students so we can continue to serve you from the comfort of your own home or dorm. Are you interested in learning more about the C.A.E. and what it has to offer you? Visit our webpage at go.geneseo.edu/cae, where you can view a full list of our services, our hours of operation, and comprehensive lists of all the other programs operating around campus. You could also show up to our first annual C.A.E. 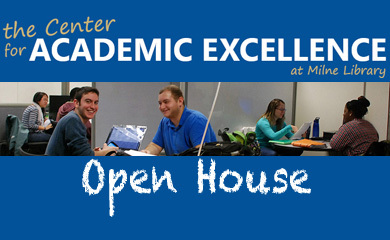 Open House this Thursday, November 14th, from 4:00 pm to 6:00 pm on the main floor of the Milne Library. We have invited representatives from all the different campus learning centers to come answer questions and advertise their services. There will be free food and drink for attendees, and who knows; you might just find a service or program that benefits you. Here’s hoping we see you there! As students were off for the summer – enjoying warm temperatures, taking a well-deserved break from school and making money through summer jobs – projects and activities in Milne Library went into overdrive. 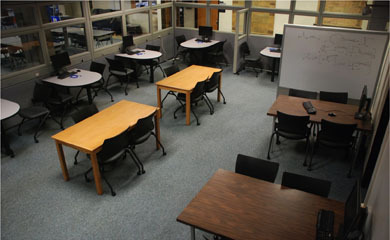 One of many moves within the library positively affected the Center for Academic Excellence (CAE). Relocated to a larger space (what once was the Genesee Valley Study Room) and enhanced by additional services, the CAE is realizing its dream of becoming a one-stop academic stop for students. 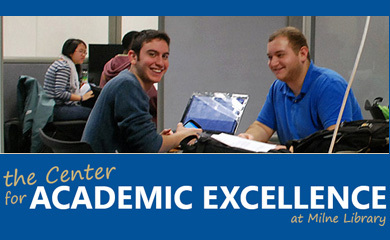 Enhanced features of the CAE include a student concierge service that will serve as the welcoming point into the center, on-the-spot writing support (no longer on an appointment basis), an almost sound-proof testing center, and closer proximity for essential academic support units so that easier transition can take place between course content, research and writing. Reference Librarians are currently providing research assistance in the CAE and all other services will begin in earnest, starting September 6. For further information and hours of operation, see the newly created homepage for the Center for Academic Excellence. 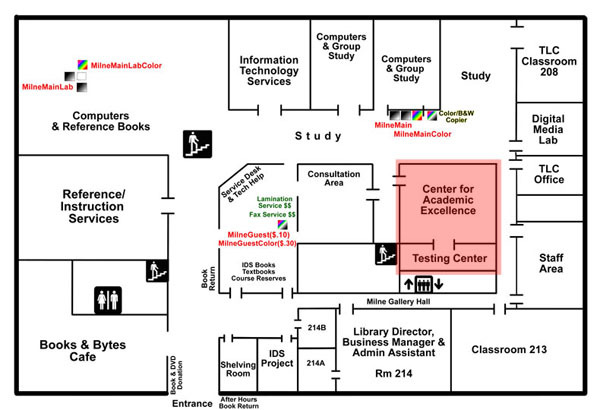 The new CAE is located on the main floor of Milne Library.